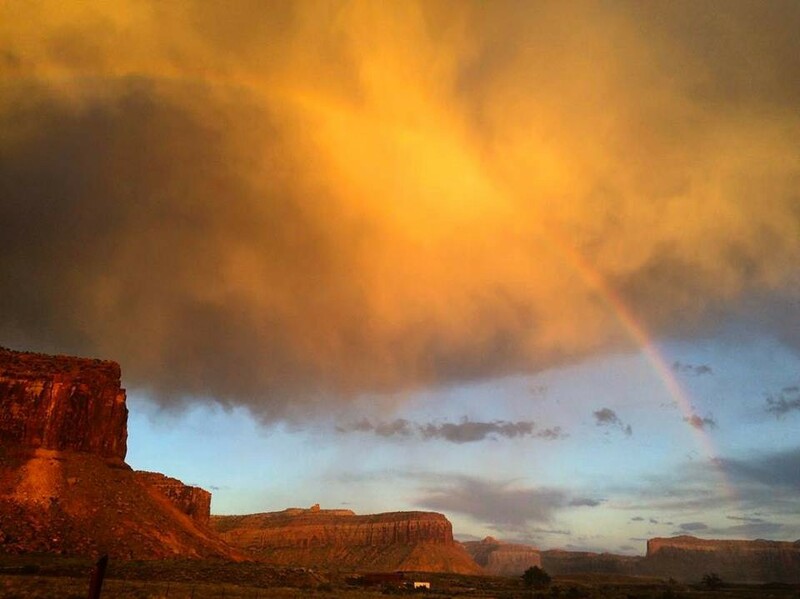 In December of 2016, just as climbers were convinced that the rain would never stop and it was the literal end of the world, President Obama established Bears Ears as a national monument. We were relieved that our public lands would stay under the control of the federal government and we celebrated the designation fiercely. After all, we needed this. Cheery social media posts from brands, professional athletes, writers, photographers, and the general community flooded my newsfeeds. The consensus was that Obama had just given us the best Christmas present ever — our beloved Indian Creek had been saved. After reading a press release or two, I felt uncomfortable posting about Bears Ears. I am always wary of posting about issues that I don’t know much about, especially when it involves lawmaking. This is probably because of my involvement in the feminist community which has a history of calling people out who talk about issues that they are not entirely informed on. This is a blessing but also a curse — most of us educate ourselves before entering into a conversation on feminist issues, but it also creates a “must be this tall to ride” environment that can be intimidating to potential allies. 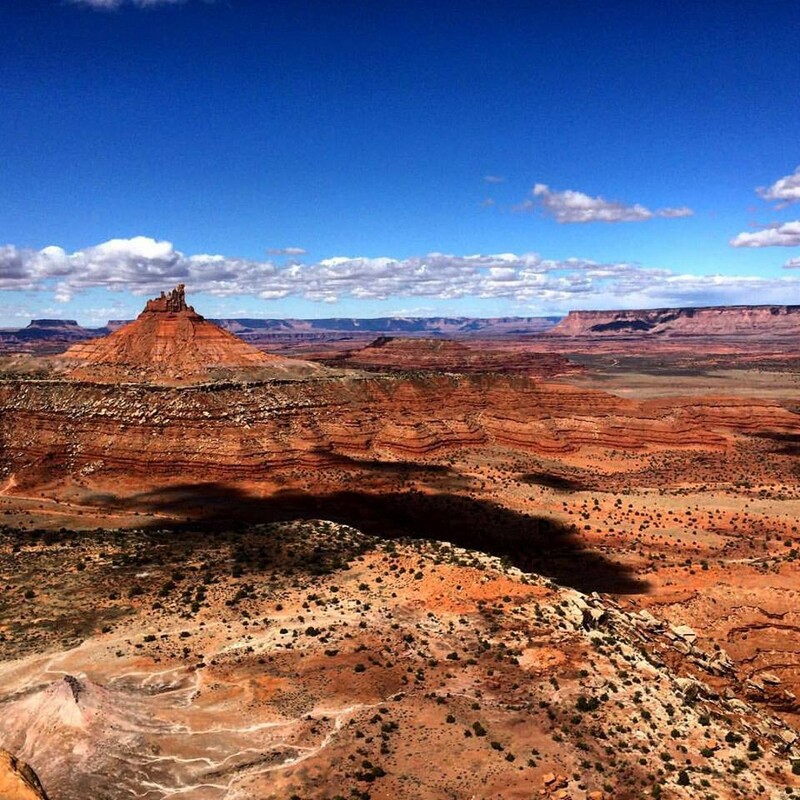 When it comes to talking or posting about Bears Ears and other conservation issues within the outdoor community, “accountability holding” does not usually occur. People and brands are not questioned for their knowledge or dedication to these issues and instead receive unending praise, likes, and shares. Environmental activism is the new cool thing in the outdoor industry, and most of our community including high-profile athletes, media-makers, and brands have aligned themselves with activism in some way, especially via Bears Ears. However, not much is being done to ensure that these people or brands are actually doing anything more than posting a picture of themselves on top of the Castleton Tower and applying the right hashtags. While some may view this as a harmless or even productive way to encourage political involvement, when it comes to the story Bears Ears, this phenomenon has been incredibly harmful. I recently talked to many climbers about Bears Ears. I asked them a few questions about the issue, and in particular, who they thought was responsible for the designation of the national monument. I was given the same answer over and over: Obama. The Access Fund and Patagonia were also mentioned often. These answers echo the vast amount of blogs, articles, and social media posts from the outdoor community about Bears Ears. We thank Obama, our advocacy organizations, and the brands/athletes that post about the issue. Yet in doing so, we have reduced this down to a hashtag, misappropriated Bears Ears as an issue primarily of outdoor recreation, and erased an important part of history. President Obama did not decide to protect Bears Ears because he heard rumors of some super splitter overhanging never before climbed possible 5.14 monster pitch out in the desert. Bears Ears was protected because Native Americans worked for 80 years to get the land designated as a national monument. Most notably, in July of 2015 the Bears Ears Inter-Tribal Coalition was formed in an effort to preserve Bears Ears as a cultural landscape. 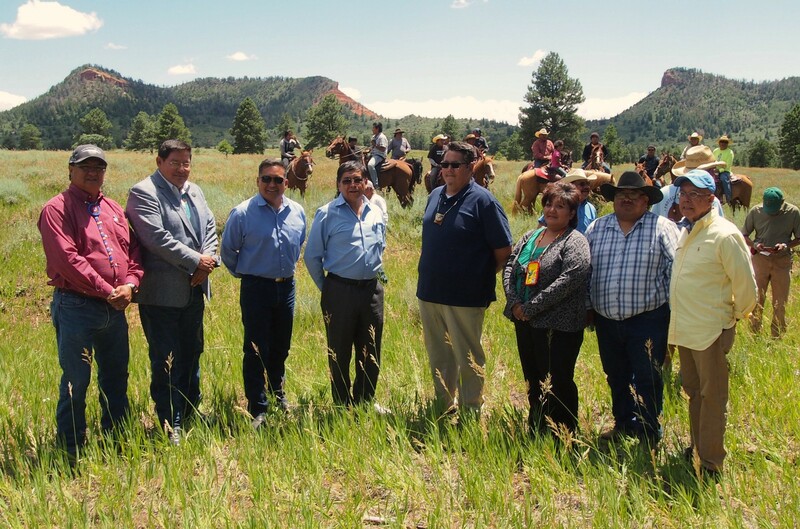 This coalition is comprised of the leaders of five sovereign tribal nations — Hopi Tribe, Ute Mountain Ute, Navajo Nation, Pueblo of Zuni, and the Ute Indian Tribe. 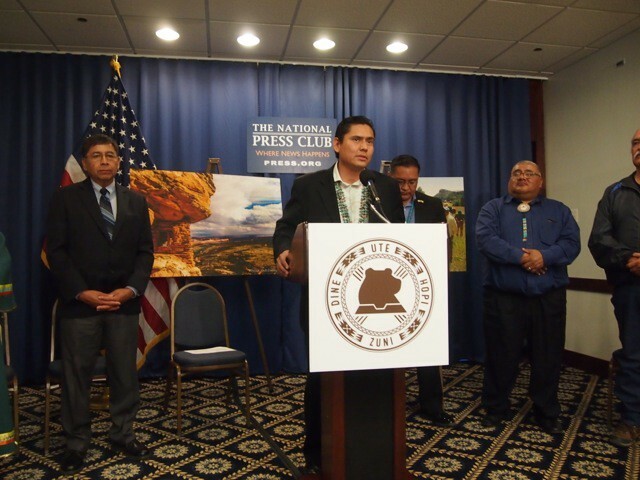 With the support of many tribes across the nation, The Bears Ears Inter-Tribal Coalition created, authored, and submitted the national monument proposal to Obama. 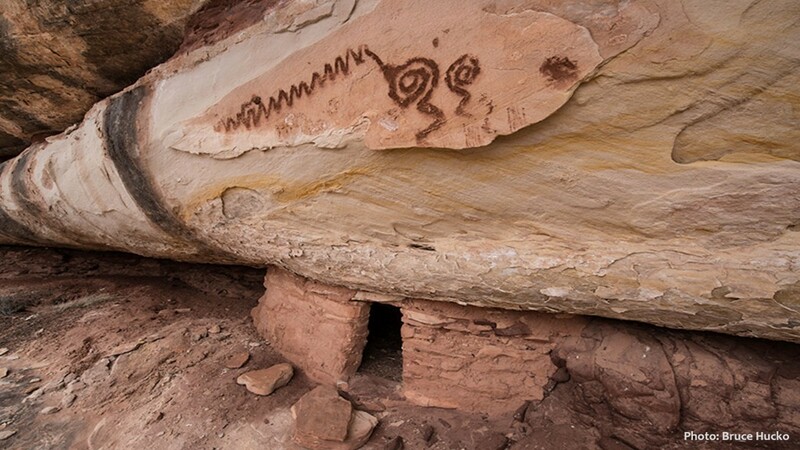 Utah Diné Bikéyah, a Native American-run organization that supports the Bears Ears Inter-tribal Coalition through providing training, tools, and technical support also played a major role in the national monument designation. Interestingly, this organization received an environmental grant from Patagonia. The proclamation mentioned rock climbing once alongside other recreational activities, and spent thousands of words speaking of the cultural significance of Bears Ears to Native Americans. Yet despite the fact that this decision had little to do with rock climbing, many climbers continue to thank Obama and advocacy organizations for saving Bears Ears, while ignoring the fact that he came to this decision because of the strident pressure from the Bears Ears Inter-Tribal coalition and the almost century-long fight for the rights to their own land. One of the most widely shared articles on the subject within the outdoor community, referred to by the Outdoor Industry Association as “one of the most powerful pieces of public lands journalism we’ve seen this year”, does not mention Native Americans even once. And what’s even more troubling is the way the outdoor community congratulated themselves — posting and blogging about this one time they went to Indian Creek — as if their pictures of the South Six Shooter had somehow influenced public land policy. While the Access Fund did successfully form a relationship with Charles Wilkinson and the Bears Ears Inter-Tribal Coalition that resulted in the inclusion of rock climbing in the presidential proclamation, the Access Fund did not initially support the national monument in a public way. It wasn’t until Rob Bishop’s Public Lands Initiative (PLI) didn’t get a vote from Congress before it adjourned in early December of 2016 that the Access Fund decided to publicly advocate for the national monument designation. Their support came just days before Obama signed the Bears Ears National Monument presidential proclamation. Regardless of the Access Fund’s reasons for supporting the legislative process and their efforts to include climbing in the proclamation, the fact remains — the climbing industry’s top advocacy organization did not publicly endorse the monument designation until just a few days before Obama ultimately signed it into law. There is nothing wrong with this, but it is wrong for us to attribute the protection of Bears Ears solely to Obama, our advocacy organizations, or our own social media posts. We have thanked and heroized everyone except the people who actually saved Bears Ears. The outdoor community’s misunderstanding of Bears Ears doesn’t just depict how we have misappropriated and harmfully simplified this issue — it reveals the way we approach activism as an industry. It’s no secret that the outdoor industry has generally failed to influence policy, despite its $887 billion in consumer spending. 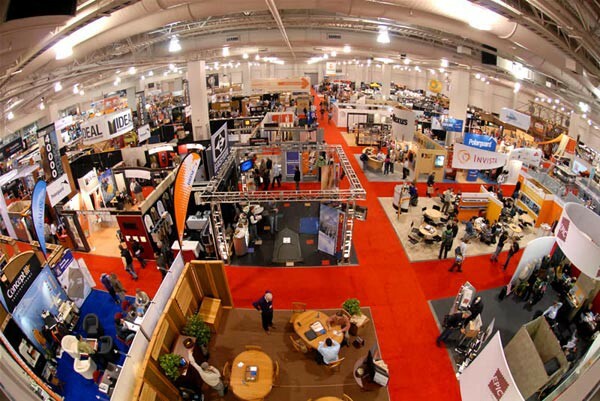 In fact, it wasn’t until very recently that a handful of brands attempted to sway lawmakers by withdrawing from participating in the Outdoor Retailer show based in Salt Lake City. This protest was a response to Utah’s Governor Gary Herbert’s recent request for Donald Trump to rescind Bears Ears and 26 other national monuments. It is still unclear if this action affected Utah lawmakers. Despite the fact that our industry has impacted very little when it comes to public policy, many professional athletes, brands, and media outlets are self-described activists. This begs the questions: in order to call yourself an activist in the outdoor community, do you have to effectively impact lawmaking? Do you have to attempt to impact lawmaking? Do you even have to research the issue you’re aligning yourself with in your Instagram bio? So far, the answer to those questions is no. Last week, a group of professional climbers, the Access Fund, and the American Alpine Club went to DC to lobby for the protection of our public lands in an event called Climb the Hill. While our favorite climbers and personalities were interviewed and Instagrammed, the media coverage of the event failed to mention the involvement of Native Americans with Bears Ears. Climbers rallied for the protection of our lands by standing on a foundation that someone else created without mentioning who those people are. At first glance, Climb the Hill could be seen as a group of people using their privilege in a valuable way. But in order to use privilege correctly and effectively, we must know the history of the causes we rally behind. Otherwise, we risk “whitewashing” or appropriating issues that are not entirely ours. According to Brady Robinson, the athletes who attended Climb the Hill were briefed on Bears Ears and given tips on how to talk to politicians before attending the event. During this briefing, the role that Native Americans played in Bears Ears was not mentioned. This is surprising since the Access Fund included the Native American narrative in all of their press releases. This striking juxtaposition of politicians swooning over climbers while simultaneously silencing native voices speaks volumes about the way Native Americans are seen in this country. I don’t expect athletes, brands, or the general population to be educated on every aspect of the Bears Ears issue or any other issue. After all, it requires a lot of time, research, and energy to fully understand most political topics. And I would understand the community’s lack of awareness about the Native American’s role in Bears Ears if they only played a very small part in this, but that is not the case. The first drafts of this article were forgiving of my own community, claiming that perhaps the truth of Bears Ears was lost in the branding of an endlessly complex issue (even the information in this long article is very basic and only scratches the surface) or because we got overly excited to fight the Trump administration. I even considered scrapping the article altogether because I felt that it could undermine the efforts that our industry, athletes, and artists have made. But this way of thinking is dangerous in a multitude of ways — not only does it excuse our responsibility that we claim to desire, but it’s also the exact rhetoric that has been used historically to perpetuate all types of injustices. I don’t doubt that we could reason our way out of this one, but I hope that we can resist that urge and simply accept what has happened. I don’t think that most climbers are aloof to the Native American’s involvement in Bears Ears because they are selfish or uncaring people. Unfortunately, Native American narratives are lost or purposely erased on all levels of society. This is not isolated to individuals or even communities — this occurs on a widespread systemic level that affects everything from our government to our own minds. In this case, even though most advocacy organizations and media outlets included this crucial part of the story in their reporting (although, probably not enough), for some reason our minds do not think to thank or acknowledge the work of Native Americans. What we talk about when we talk about Bears Ears is evidence of a systemic problem that has negatively influenced us on a personal level. Instead of falling victim to and perpetuating this, we can choose to educate ourselves and our community to the full story of Bears Ears. If you’re going to thank Obama or the Access Fund or Patagonia for Bears Ears National Monument, it is also logical and called for to thank the Bears Ears Inter-Tribal Coalition. And when you talk about Bears Ears, include the story of the people who created, authored, and submitted the proposal to Obama. It is time for our community to educate ourselves on issues that we align ourselves with. No, you don’t have to spend your life researching public land policy or Indian law, but the information we are leaving out of the Bears Ears issue is very basic. The outdoor industry is a budding political force with the potential to create serious changes in the world, but let’s go about doing this in smart ways. And most importantly, let’s give credit where credit is so obviously due.